The Fury of Firestorm: The Nuclear Man #16 goes on sale tomorrow! If you can’t wait until tomorrow, head over to Man Cave Daily to check out the five page preview right now! Click here to check it out! This issue features story and pencils by Dan Jurgens, inks by Karl Kesel & Ray McCarthy, colors by Hi-Fi, and lettering by Travis Lanham! 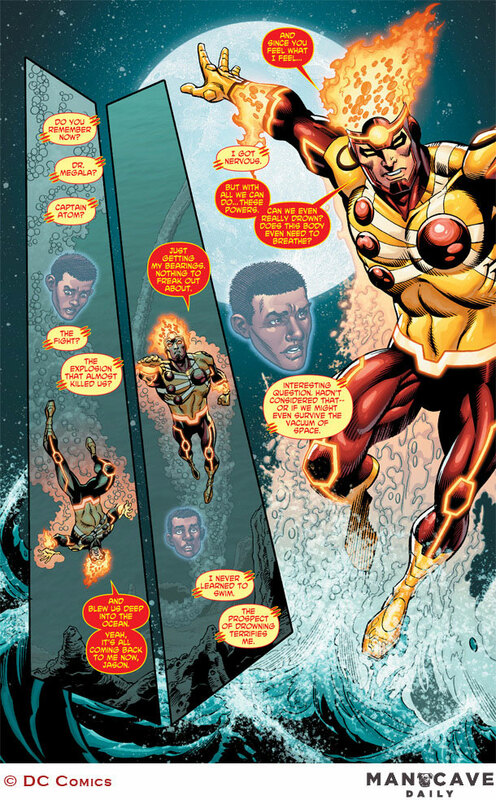 The story picks up right after Match-head’s climatic battle with Captain Atom last issue! Be sure to buy a copy tomorrow and tell your friends to also! Let’s get out there and show our support! Below are a few pages from the preview. Be sure to visit Man Cave Daily to see all five preview pages! Jurgens and Kesel look great together! And the muted colors underwater by Hi-Fi are a great touch! 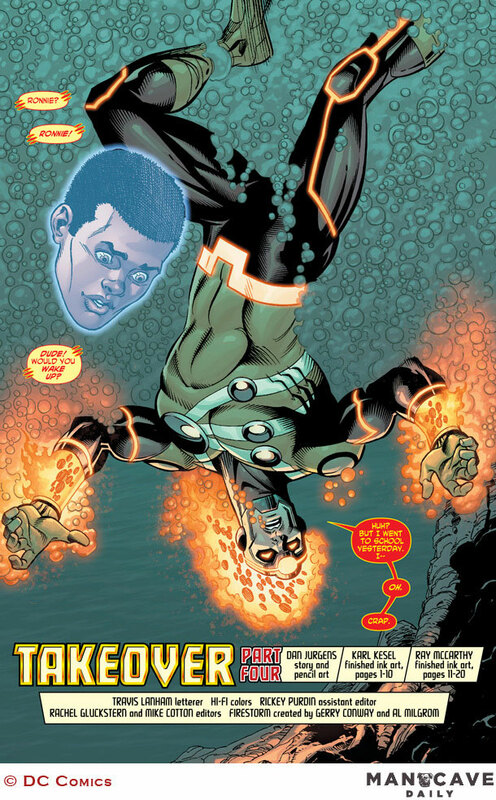 Don’t forget, pick up your copy of The Fury of Firestorm: The Nuclear Man #16 tomorrow!